Spain is a highly-developed, democratic country with the 13th largest economy in the world. The climate, location, coastlines, diverse landscapes, historical legacy, vibrant culture and excellent infrastructure has made the country’s international tourist industry among the largest in the world. Roman Catholicism has long been the main religion of Spain and is officially taught in all public schools. However, only a very small percentage of the entire population attends religious services at least once per month. A heavy influx of Latin American immigrants in recent decades has led to many new Catholic churches planted by Latinos. Evangelical churches, meanwhile, are small and dependent on foreign resources, with poor facilities in less than ideal locations. CMF is involved in transforming lives and communities in Spain through the ministry of En Vivo, a Globalscope campus ministry. En Vivo (Live!) focuses on sharing Christ in this post-Christian European context through a relational, incarnational ministry. 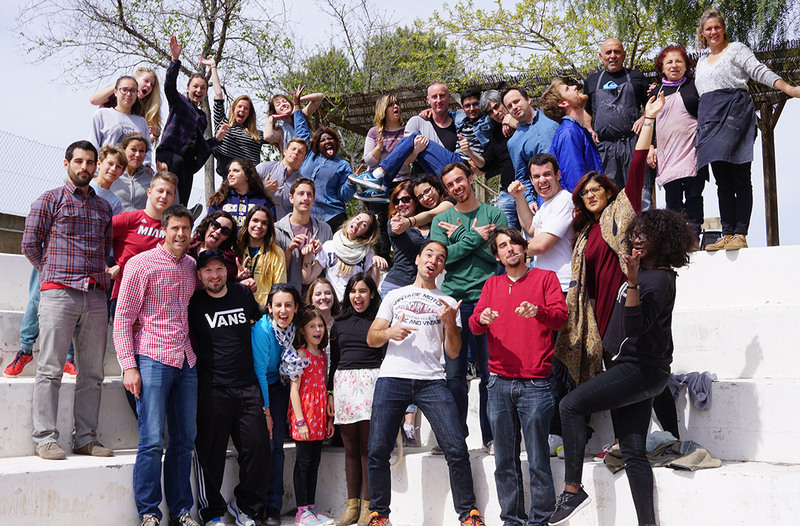 Located in Salamanca, home to one of the oldest and most international universities in all of Europe, En Vivo attracts students of all nationalities with fun activities and life-changing Bible studies. European and American interns and exchange students join the team each semester to meet new students and draw them into the community. En Vivo exists to simply love students and connect them with Christ. Lead small group Bible studies and leadership groups. Connect with students via a weekly large group event to experience Christian community and worship. Host weekend retreats and fun activities. Provide a weekly English night for the university community. Engage students in a yearly service project with Habitat for Humanity. Valencia is the third largest city in Spain and home to two large universities – the University of Valencia and the Polytechnic University of Valencia — with nearly 100,000 students. Young people come from all over the country to study here, so it’s an ideal site to launch Globalscope’s ninth campus ministry. As is the case with most people in Spain, many college students identify themselves as Catholics or Christians, but it is estimated that less than five percent of Spanish people regularly attend church. A university town is the perfect place to form a community of students who are trying to figure out their lives, careers and faith journeys so that we can point them toward Jesus. Globalscope planted a brand new ministry in Valencia in the fall of 2016. They are following the model of En Vivo in Salamanca and other Globalscope ministries, creating an open community where students can explore faith and what it means to follow Christ.